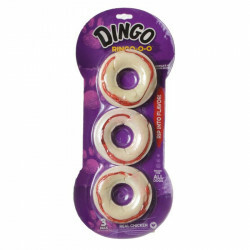 Dingo Indulgence Mini Peanut Butter Rawhide Bones with meat in the middle are tasty treats your dog is bound to love! 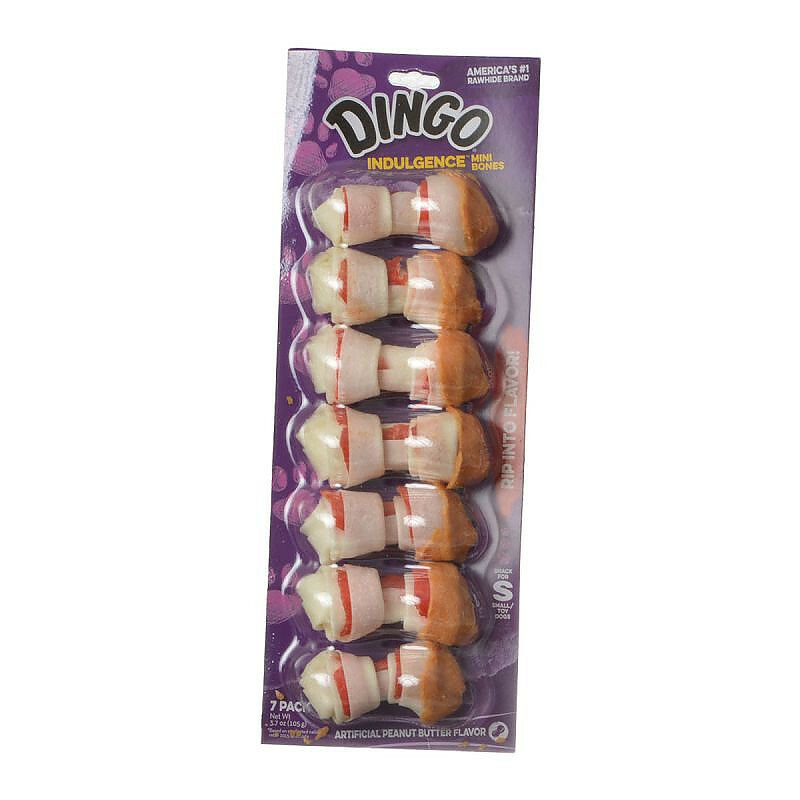 These Dingo Indulgence rawhide bones are artifically flavored with peanut butter flavor that dogs love. I had ordered from another company previously, they shorted me a 12 pk package so I was very glad to see you got it right the first time, I will use you again. 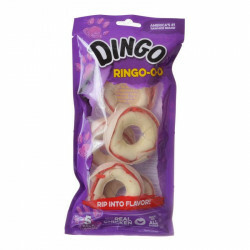 My dog is a picky dog but Dingo bones are always a sure bet. 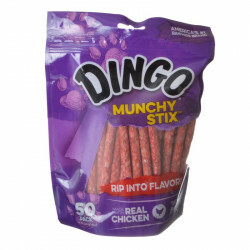 And this is a great company with great package deals and excellent quality shipping and fresh products. 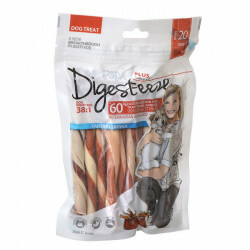 Me and the dog are both hHappy with our orders. Thanks, Deb.